He won a total of 108 caps for the England team, which at the time of his international retirement in 1973 was a national record. This record was later broken by 125-cap goalkeeper Peter Shilton. Moore's total of 108 caps continued as a record for outfield players until 28 March 2009, when David Beckham gained his 109th cap. Moore was made an inaugural inductee of the English Football Hall of Fame in 2002 in recognition of his impact on the English game as a player. The same year he was named in the BBC's list of the 100 Greatest Britons. On the verge of his greatest triumph, details were released to the press in early 1966 that Moore wanted to leave West Ham. Moore had let his contract slip to termination, and only after the intervention of Sir Alf Ramsey and realisation he was technically ineligible to play, did he re-sign with West Ham to allow him to captain the England team of 1966. Ramsey had summoned West Ham manager Ron Greenwood to England's hotel and told the two of them to resolve their differences and get a contract signed up. Moore was the leader of the World Cup winning side and established himself as a world-class player and sporting icon. With all their games at Wembley, England had got through their group with little trouble, they then beat Argentina in their quarter final and a Eusébio-led Portugal team in the semi-finals. West Germany awaited in the final. The year 1970 was a bittersweet, mixed and eventful one for Moore. 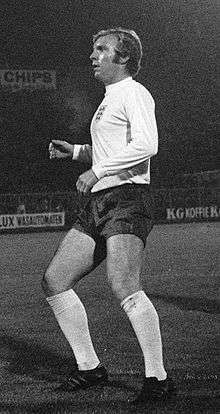 He was again named as captain for the 1970 World Cup but there was heavy disruption to preparations when an attempt was made to implicate Moore in the theft of a bracelet from a jeweller in Bogotá, Colombia, where England were involved in a warm-up game. A young assistant had claimed that Moore had removed the bracelet from the hotel shop without paying for it. While there was no doubt that Moore had been in the shop (having entered with Bobby Charlton to look for a gift for Charlton's wife, Norma), no proof was offered to support the accusations. Moore was arrested and then released, he then travelled with the England team to play another match against Ecuador in Quito. He played, winning his 80th cap, and England were 2–0 victors, but when the team plane stopped back in Colombia on the return to Mexico, Moore was detained and placed under four days of house arrest. Diplomatic pressure, plus the obvious weakness of the evidence, eventually saw the case dropped entirely, and an exonerated Moore returned to Mexico to rejoin the squad and prepare for the World Cup. Moore received a guard of honour from his squad when he arrived at the team hotel. Moore went on to play a leading role in England's progress through their group. On 2 June he captained England to a 1–0 victory against Romania. In the second game against favourites Brazil, there was a defining moment for Moore when he tackled Jairzinho with such precision and cleanliness that it has been described as the perfect tackle. It continues to be shown on television around the world. Brazil still won the game 1–0, but England progressed through the group. Moore swapped shirts with Pelé after the game. The shirt was displayed at the National Football Museum in Manchester, courtesy of the Priory Collection. 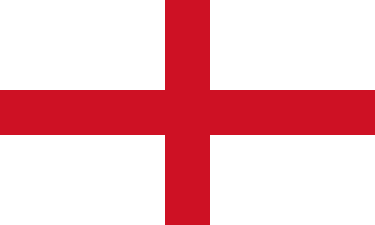 A 1–0 win over Czechoslovakia allowed England to finish second in the group and advance to the knockout stage. At the Quarter Final stage, a rematch of the 1966 World Cup against West Germany, England took a 2–0 lead but lost 3–2 in extra time. Later the same year, Moore was exposed defensively by Poland in a qualifier for the 1974 World Cup in Chorzów, deflecting a free kick past goalkeeper Peter Shilton to put the home side ahead, and then losing possession to Wlodzimierz Lubanski, who scored the second. Moore's form had dipped enough for Ramsey to choose not to select him for the return game at Wembley which England had to win to qualify. Any other result would send Poland through. Being replaced by Norman Hunter in defense and Peters as the skipper for that match, Moore is understood to have asked Ramsey if this meant he was no longer required, to which Ramsey replied: "Of course not. I need you as my captain at the World Cup next year." It never happened, as England could only draw 1–1. During the Wembley match, Hunter attempted to make a tackle but instead trod on the ball and lost it, a similar error to Moore's lost possession in Chorzów, which allowed Poland to quickly counterattack and score thanks to Shilton's mistake. Allan Clarke equalised with a penalty, but England could not score again as goalkeeper Jan Tomaszewski blocked numerous English chances. Moore later told how he sat alongside Ramsey on the bench and kept urging him to make a substitution, but Ramsey was hesitant to do so. When Kevin Hector finally did come on for Martin Chivers after 85 minutes Moore could be seen on TV yanking down Hector's tracksuit bottoms while Ramsey sat immobile. Moore, later, said to David Miller "you could feel the minutes escaping. I said to Alf we need someone to go through the middle. He just nodded. We couldn't get Kevin out there quick enough. We almost threw him onto the pitch." Hunter was in an inconsolable state as he was led off the pitch by Harold Shepherdson and Moore, the latter whose place in the side he had taken. England's failure to qualify for the 1974 FIFA World Cup signalled the end of Ramsey's reign as national team manager as he was sacked six months later. In 1983, Moore appeared in 8 games for the now-defunct Carolina Lightnin', after injuries left the club without cover. Moore's first brush with cancer was in 1964, two years before the historic World Cup win. He was diagnosed with testicular cancer, which he survived by having one testicle surgically removed; the cancer had not spread. In April 1991, Moore underwent an emergency operation for suspected colon cancer, though at the time it was just reported that he had undergone an "emergency stomach operation". Moore was made an inaugural inductee of the English Football Hall of Fame in 2002 in recognition of his impact on the English game as a player. The same year he was named in the BBC's list of the 100 Greatest Britons. In August 2008 West Ham United officially retired the number 6 shirt as a mark of respect, 15 years after his death. On 26 July 2016, Moore became the first footballer to be honoured with the awarding of an English Heritage Blue Plaque outside of his home. The plaque was unveiled on Moore's childhood home in Waverley Gardens, Barking in a ceremony attended by his daughter, Roberta. 1 2 Hugman, Barry J., ed. (2005). The PFA Premier & Football League Players' Records 1946–2005. Queen Anne Press. p. 436. ISBN 978-1-85291-665-7. ↑ "Robert Frederick Chelsea "Bobby" Moore – International Appearances". The Rec.Sport.Soccer Statistics Foundation. Archived from the original on 15 October 2013. 1 2 3 4 "Bobby Moore 1941–1993". Bobbymoore.co.uk. Retrieved 31 May 2010. ↑ "Beckham dedicates record to family". Fifa.com. 28 March 2009. Archived from the original on 6 March 2012. Retrieved 31 May 2010. ↑ "Welcome to the Wonderful World of West Ham United Statistics Bobby Moore". Retrieved 18 March 2011. 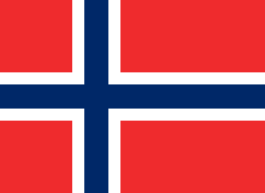 ↑ "Test centuries against all nations, and plain sailing". www.cricinfo.com. 2 May 2005. Retrieved 31 May 2010. ↑ Hankin, Alex (14 October 2012). "Send in the clown: England's colourful history of matches against Poland". Daily Mirror. London. Retrieved 24 February 2013. 1 2 3 "Bobby MOORE". www.fifa.cm. Retrieved 16 August 2011. ↑ "Bobby Moore's tackle on Jairzinho in 1970 World Cup". BBC Sport. Retrieved 24 February 2013. ↑ "The Priory Collection". www.nationalfootballmuseum.com. Archived from the original on 16 October 2012. Retrieved 27 July 2013. ↑ "Ballon d'or winners". World od soccer. Retrieved 27 July 2013. ↑ Glanville, Brian. "The real Bobby Moore". www.sportsstronthenet.com. Retrieved 10 January 2013. ↑ "This Is Your Life (1969–1993) @ EOFFTV". Eofftv.com. Archived from the original on 22 April 2012. Retrieved 29 July 2011. ↑ "Historie". Herningfremad.dk. Archived from the original on 19 July 2011. Retrieved 31 May 2010. ↑ "East End to NC end: The final playing days of West Ham legend Bobby Moore". WRALSportsFan.com. Retrieved 12 July 2016. ↑ Mercury (31 January 2010). "The celebrity friends of Margaret Thatcher". Birmingham Mail. Retrieved 3 January 2013. ↑ Mason, Peter (1994). Southend United: the official history of 'The Blues'. p. 121. ISBN 1-874427-20-8. ↑ Campbell, Paul (22 February 2013). "From the Vault: Remembering the life and football of Bobby Moore". The Guardian. London. Retrieved 25 February 2013. ↑ Jonathan, Pearce. "Bobby Moore: Modest, generous, meticulous and very, very funny". BBC Sport. Retrieved 25 February 2013. ↑ "Bobby Moore (1941–1993) – Find A Grave Photos". Findagrave.com. 17 September 2009. Retrieved 29 July 2011. ↑ "Four Programmes — Hero: The Bobby Moore Story". BBC. Retrieved 29 July 2011. ↑ "The Bobby Moore Fund". Cancerresearchuk.org. Archived from the original on 6 July 2010. Retrieved 19 June 2010. ↑ "Bobby Moore Fund for Cancer Research UK". Justgiving.com. Retrieved 19 June 2010. ↑ "The Bobby Moore Fund will benefit from England v Brazil match". www.thefa.com. Retrieved 27 July 2013. 1 2 "Footballing legend Bobby Moore takes his place at Wembley". www.wembleystadium.com > Press Releases. Wembley National Stadium. 11 May 2007. Archived from the original on 3 May 2010. Retrieved 3 May 2010. 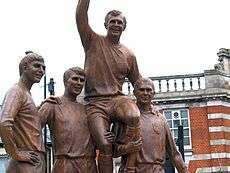 ↑ "Childhood home of Bobby Moore receives English Heritage plaque". The Guardian. 26 July 2016. Retrieved 27 July 2016. ↑ Daniels, Phil (1997). Moore than a legend. Goal! Publications. p. 145. ISBN 0-9529641-9-8. ↑ "Bobby Moore". TheFA.com. 30 January 2010. Retrieved 30 January 2010. ↑ "West Ham retire Bobby Moore's No.6 shirt 50 years after his Hammers debut". Daily Mail. London. 4 August 2008. Retrieved 28 April 2014. 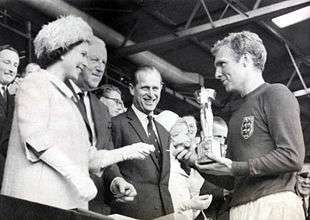 ↑ "Player of the Century: Bobby Moore gets the nod from GMF readers". Give Me Football. 7 September 2007. Archived from the original on 21 October 2008. Retrieved 31 May 2016. ↑ "England Boys of '66 dominate your Team of the Century: 1907–1976". GiveMeFootball.com. Give Me Football. 28 August 2007. Archived from the original on 22 October 2008. Retrieved 18 May 2016. ↑ "Bobby Moore (I) (1941–1993)". www.imdb.com. Retrieved 29 July 2011. ↑ Pearlman, Natasha (8 June 2006). "Footballers' wives of 1966 relive the memories". Daily Mail. London. Retrieved 5 August 2014. ↑ "The last days of Bobby Moore". The Observer. London. 7 August 2005. Retrieved 29 July 2011. ↑ "Footballers' wives of 1966 relive the memories". Daily Mail. London. 8 June 2006. Retrieved 29 July 2011. ↑ "World Cup hero Moore has cancer". The Independent. London. 15 February 1993. Retrieved 29 July 2011. ↑ Martin, Arthur (29 July 2011). "Bobby Moore's son Dean, 43, found dead in Notting Hill house". Daily Mail. London. Retrieved 29 July 2011.